A CHURCH IN Limerick has been subject to a spate of vandalism attacks over the past two weeks. According to Fr Desmond McAuliffe, two windows were broken and vandalised in the Church of Our Lady of the Rosary on the Ennis Road on 15 August. The following week, McAuliffe claims a number of people stripped lead flashing from the left-hand side of the church. As a result, the church was left with a considerable amount of water damage, according to McAuliffe. Flashing is a thin piece of impervious material installed to prevent water entering a building. Speaking to TheJournal.ie, McAuliffe said that they had to replace the waterproofing the following day, however last week “they came back again and stripped the replaced portion of it”. This was the third time the church had been targeted within the space of two weeks. “It’s annoying because it takes so much time when you have to go through the process of reporting it and getting people in. It’s frustrating and time-consuming,” McAuliffe told TheJournal.ie. “It’s not just a couple of euro, they cause thousands worth of damage and that’s the reality of it. This kind of action has to be dealt with. They cause mayhem and they upset so many people, between households and the church. A limited amount of CCTV footage was captured of the incidents. “There’s an insidious bunch going around that particular part of Limerick who are stripping roofs in residential areas. It’s just appalling to target a church, a place of worship, a place of sanctity. As a church, it should be untouchable, but there’s no stopping this particular bunch. Costelloe said he has requested more gardaí and more resources to be put in place in the city of Limerick. “There’s a bunch of youths out there who are up to this kind of activity, I believe. The parents should be taken to task on how their young people are marauding through the streets, doing what they want to do at leisure,” he said. 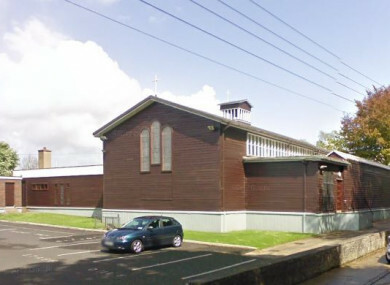 Email “'It's insidious behaviour': Limerick church vandalised for a third time in two weeks ”. Feedback on “'It's insidious behaviour': Limerick church vandalised for a third time in two weeks ”.